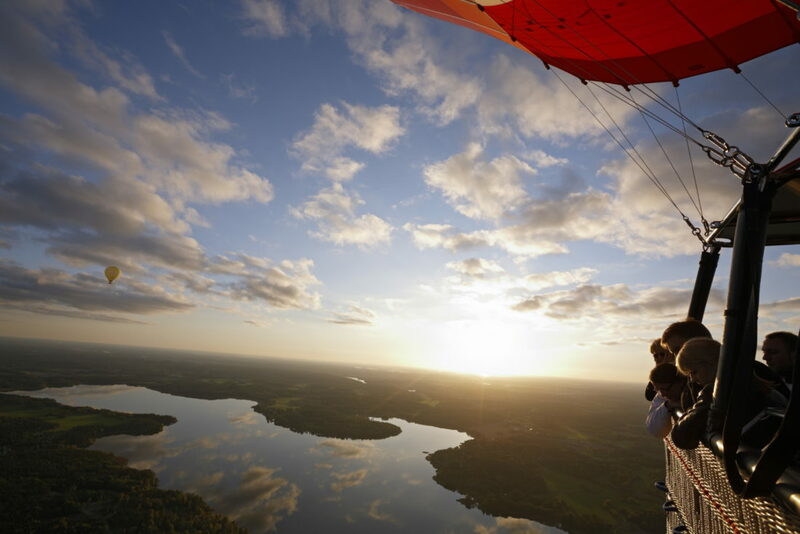 Of course, you are going to enter a dream state and be hypnotized by the sheer beauty of Sweden when you put your first step in this beautiful Scandinavian land. But let me interrupt your dream and inject you with a dose of reality. Settling in a new country is always challenging but hopefully, this to-do list will make your journey a little bit smoother. The fastest way to feel, that you belong to your new university is to get the university student ID card. Go to your university service center, present the required documents and take a photo. I think the last step is the hardest one because taking a good ID card photo is more difficult than defeating Conor Mcgregor in a Mixed Martial Arts fight. Also, don’t forget to get a membership sticker from the Student Union, this will help you to attend university events at a discounted price in Sweden. You don’t need to overcome endless obstacles like Jason Bourne to figure out your identity in Sweden. 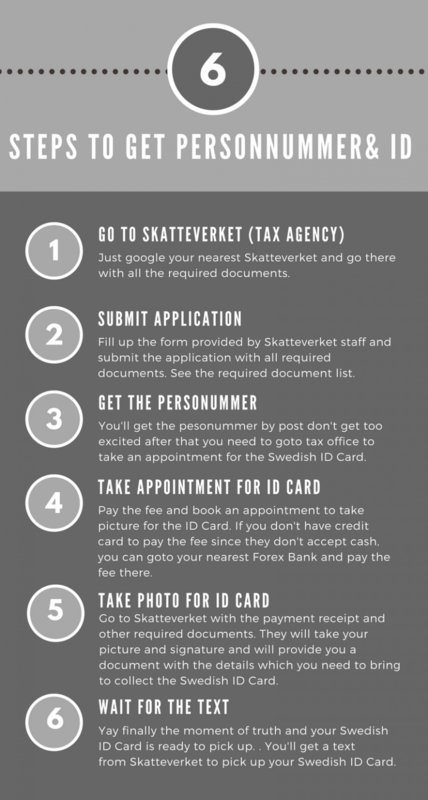 All you need to do is to go to Skatteverket (Swedish Tax Agency) and they will provide you a personal identification number (Personnummer) and Swedish ID Card. Wait, sorry for oversimplifying the process. It’s not as easy as going to the supermarket and buying a delicious candy bar (Do try kex choklad, it’s worth the hype) and that’s why I have provided a step by step guide on how to get the personnummer and Swedish ID card below. 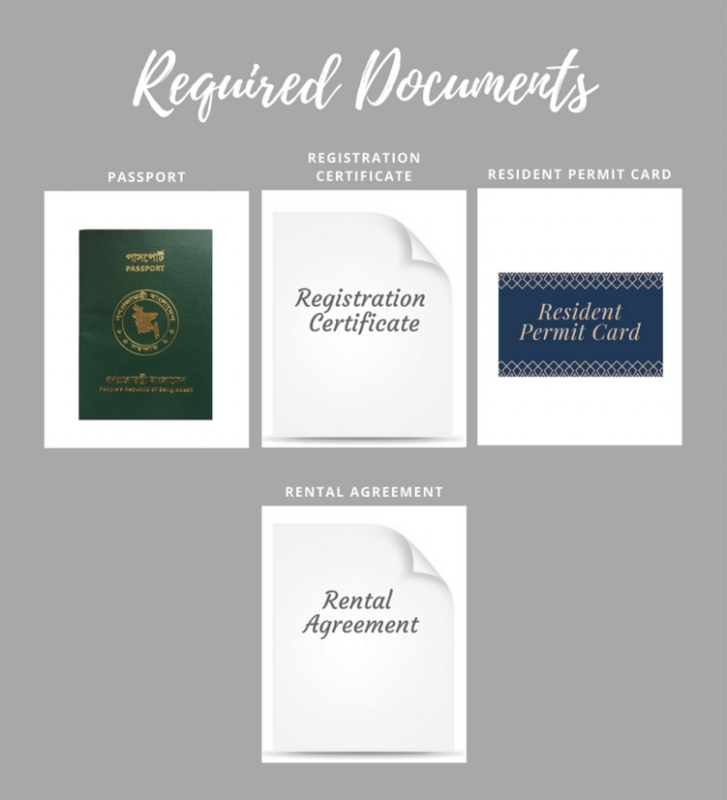 The detail list of required documents are also mentioned below and you can collect the registration certificate from the service center of your University. It will take from 2-4 weeks to get the personnummer by post and it will take another 2-3 weeks to get the Swedish ID card after taking the picture. Most probably, the most important thing in this list and this magic card will unlock all the doors to your bright future in Sweden. 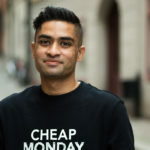 I am coming from a country where people mostly use cash for everyday transactions, but Sweden is heading towards a cashless society, please do read the in-depth post written by my fellow friend Andrés . So, obtaining a bank account is essential in Sweden unless you have a universal credit card or prefer to sleep on a bed of cash. There are four big major banks in Sweden (Nordea Bank AB, Svenska Handelsbanken AB, Swedbank AB and SEB). The account opening process varies on few factors and they are, which country you are coming from, if you have a Swedish ID card and how long you are going to study here. The process can be a bit longer depending on your circumstances, so it’s better to apply for the bank account right away. If you don’t want to wait for the Swedish ID card, then you can apply without it but the bank might do a background check which takes 2-4 weeks depending on the country you are coming from. If you are lucky enough to get a student accommodation and satisfied with it, then you can ignore this step. If not, then welcome to the battle that will test your patience because the housing crisis in Sweden is very real. If you want to look for a room or apartment on the private market, then you should register with one of the central housing services straight away. 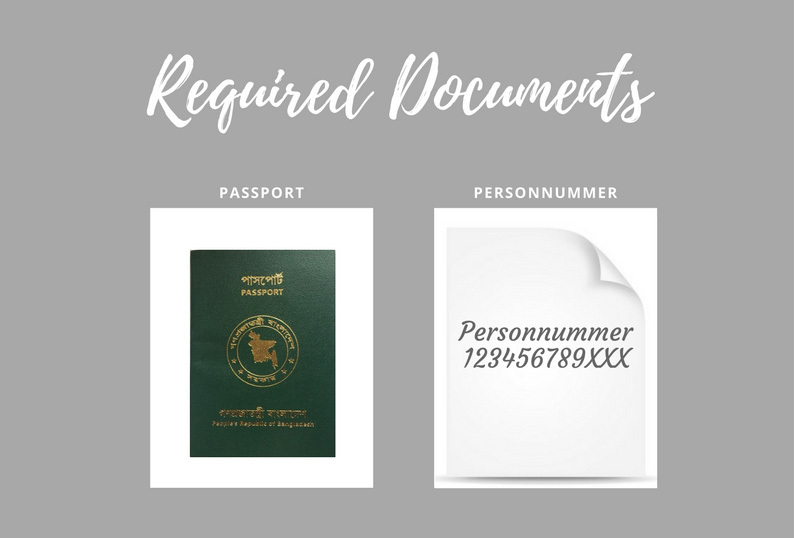 You don’t need to wait for the Swedish ID card, you can apply with your personnummer. They follow a queue system and for every day you will gather one point. Here in Halmstad, we have a housing company called HFAB where it takes around a year to get a student apartment after the application. They also do lottery twice a year, so the new students can get a chance to get an apartment. Apply for the lottery as well because you never know, you might get lucky. If you don’t have the patience or if you are looking for something very urgent then you can try to find a sublet through different websites. Please do read this article regarding accommodation in Sweden where all the website names are mentioned to get a sublet. You can get to learn Swedish for free in Sweden how awesome is that. Just go to your nearest SFI office and enroll yourself in the course. The documents that you need are, your precious passport and personnummer. I am starting my course from the end of this month and hopefully, I’ll be able to teach you guys some fun Swedish words in my upcoming blogs. 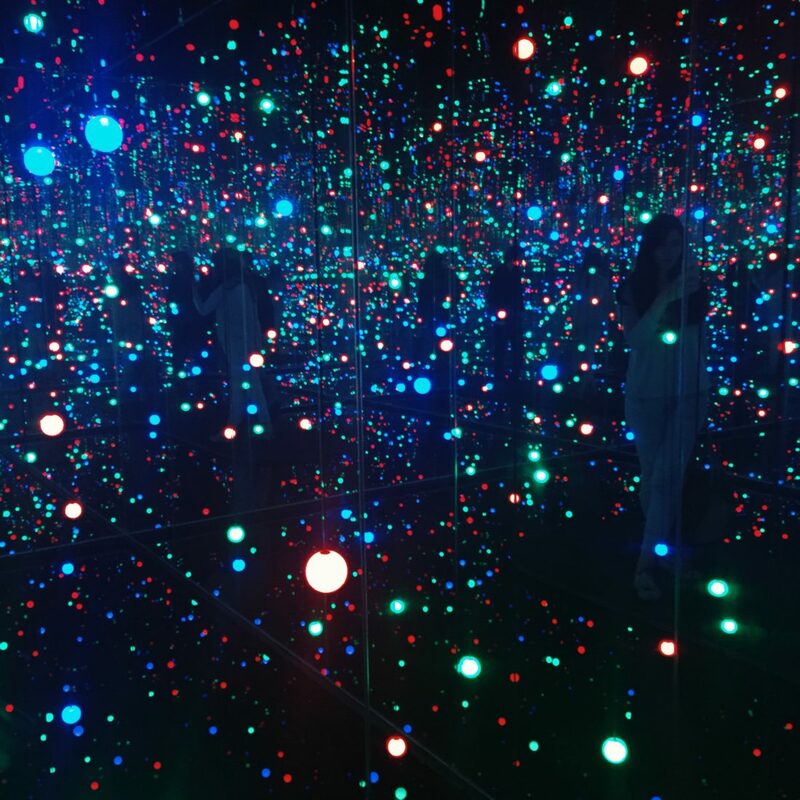 Disclaimer: This blog is written from my personal experience, so the requirements and procedures can vary depending on which city and university you are going to. 10 Essential Apps for International Students. Nicely Done Raeed! Super practical and informative. I read your blog. It’s beautiful. Ami onek khushi, amar ak baro bhai sweden kapasse !!!! Yeahh.. I want to study MSc Electrical Engineering in Sweden. I have a very good academic background. I want to apply for the scholarship but I understand that it will not cover my living expenses. Is it possible to cover all the living expenses doing part-time jobs? Are part-time jobs available in every city? I can apply for my studies in several universities like Chalmers, Uppsala, KTH-Stockholm or Linnaeus-vaxjo etc. All the programs are good. Now I am thinking, Where will I get scholarship/part-time jobs etc. Please give me some advice. 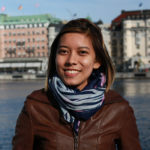 I would like knowbmore from you about study in Sweden. Thanks. It’s good to hear that you are interested to study in Sweden. The application process for the next semester already started. 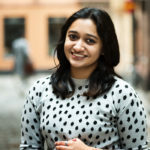 So please visit https://studyinsweden.se/ to know more about the process. Also visit https://www.universityadmissions.se/en/All-you-need-to-know1/Applying-for-studies/Documenting-your-eligibility-for-studies/Instructions-for-Masters-applicants/Specific-requirements-for-my-country1/bangladesh/ to know about the application requirements for Bangladeshi students. I like how all the books in featured image were written by you, jatte nice! Very educative, thanks a lot. Raeed, this is such an amazing post! 😀 Super impressive! This is so slick Raeed, nice! Such an informative post, congratulations!